Recently, the Icelandic National Power Company Landsvirkjun started to prepare the constructions of the first large wind turbines in Iceland. 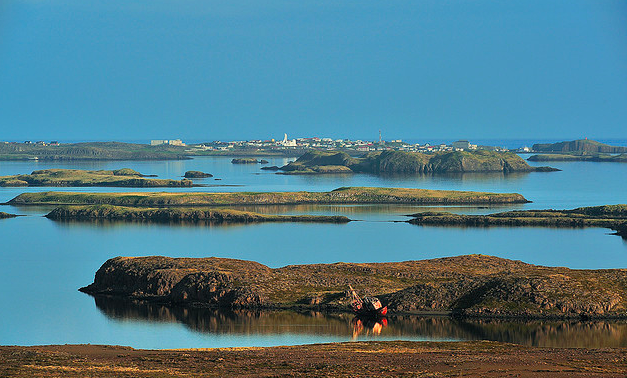 In Iceland, emphasis is also being placed on the utilization of marine power. For example, the Icelandic Innovation Centre has been involved with development of both osmotic energy and tidal power projects. There are also examples of possible upcoming projects, especially focusing on tidal power. Some of the fiords and bays in Iceland experience strong tidal currents. The tidal wave at Iceland rotates clockwise around the country in 12 hours and 25 minutes, arriving at the south. The mean speed of the wave is around 150 km/hour.l elevations in Iceland are greatest on the west coast, especially in Breiðafjörður where the difference between ebb and flood for mean spring tides can exceed 4 meters. Along the north and east coasts, this difference is considerably smaller, typically one to two meters. Sjávarorka is an Icelandic firm that was established in 2001 with the main purpose to investigate the possibilities of utilizing tidal power and ocean currents around Iceland. The company has been focusing is a specific site in the western part of Iceland where the difference between high and low tides is greatest. The plan is to use tidal turbines to harness the tidal current without constructing dams. In mid-2011, Landsvirkjun decided to become a major shareholder in Sjávarorka, by becoming one of the owners of the company through investments. Since early 2012, Landsvirkjun has around 30 percent stake in Sjávarorka. As Landsvirkjun is Iceland’s main energy company this may mean that research on Icelandic marine energy will increase substantially. Here at Askja Energy we will be following the project of Sjávarorka closely and bring our readers news of interesting development of this and other marine energy projects in Iceland.